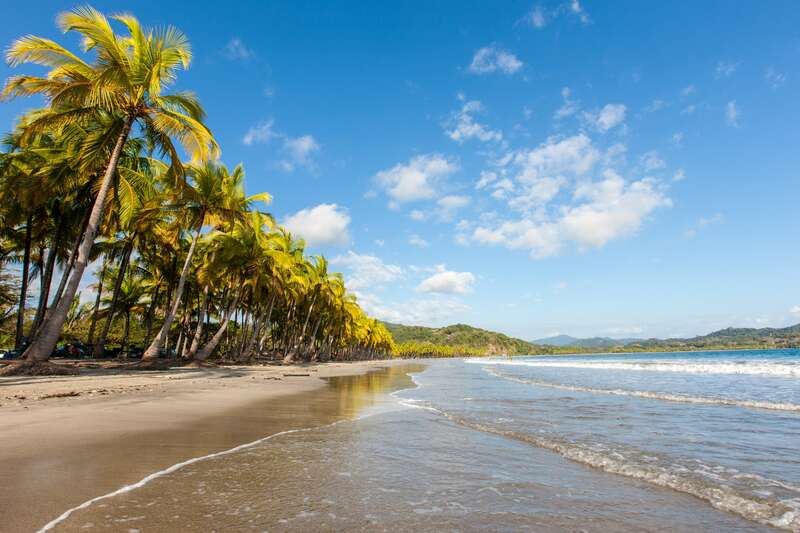 Among Costa Rica destinations, the Nicoya Peninsula has earned its fame. This large region on the Pacific Coast line is almost entirely beaches, with forested parks and hiking trails occupying the center of the peninsula. Unsurprisingly, the area has been a favorite among return vacationers. Staying in the mid-80s nearly year-round, it’s no surprise that incomers look to take advantage of the breathtaking scenery and comfortable climate. Recently, however, tourists are not the only group interested in the region. Those looking to relocate indefinitely have begun to focus on the country’s largest peninsula, Nicoya, as the ideal long-term destination. Their decision is not un-researched either, and multiple factors of local life support this wise decision. As emigration to Costa Rica increases, more and more families look to analyze the worth of life on the Nicoya Peninsula. While the pristine beaches are reason enough, there is actually an endless array of factors that support the decision for a long-term move. Regardless of your reason or goals behind your move, considering the Nicoya Peninsula as a destination is a must. This region of Costa Rica first found its fame when it was mentioned in the book Blue Zones by Dan Buettner as one of the 5 regions of the world whose residents enjoy extended longevity. With residents who commonly live to 100 years of age, the Nicoya Peninsula is considered one of the healthiest places in the world. This improved health status is readily noted among the locals, where healthy senior citizens are an active part of the community, but its benefits extend to newcomers as well. Newcomers to the region report improved health, weight loss, and relief from symptoms of chronic diseases without purposely implementing a new health routine. If you choose to move to the Nicoya Peninsula, you’ll have access to the widest variety of fresh produce you’ve ever seen in your life. Fruit and vegetables stands will occupy every corner, and exotic foods can be purchased for just pennies. Regardless of your lifestyle, you’ll find yourself eating more healthily and walking more often. This region is absolutely perfect for those interested in adventure and activity, but those with less energy for adventure will find themselves more active without even trying. Streets are made for pedestrians and everything feels nearby. You’ll find yourself walking instead of driving to complete your daily errands, and a stroll on the beach to enjoy the sunset will become part of your weekly routine. Without concentrating on weight loss, a move to the Nicoya Peninsula automatically comes with an increased health status and improved happiness. Those who decide to move full time to this region often find themselves shocked at the lack of bustle. Here, residents enjoy quite the same lifestyle as do the tourists. A slower pace of life may be a factor contributing to the improved health of the residents, but it’s also what keeps the people in this region happy and well adjusted. Here, people stress less and learn to enjoy their lives. 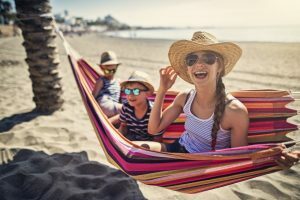 They take longer lunch breaks, spend more time with their family, and schedule outdoor down-time in their home hammocks into every day of the week. This goes not only for locals and incoming retirees, but for young newcomers starting their own businesses as well. This slow pace of life may not seem noticeable to a vacationer, but it makes a huge impact to a long-term resident. The Nicoya Peninsula truly encompasses the country’s favorite branding, “pura vida.” Pura vida, or the pure life, includes not only healthy food and active lifestyles, but focuses on finding happiness and relaxation in everyday life. 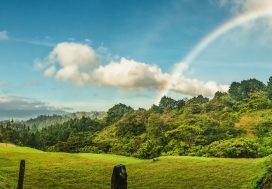 This wholesomely Costa Rican vibe is what convinced you to move in the first place, so finding a zone that encourages your own pura vida is absolute must. The breathtaking nature is reason enough to consider a long-term move, but the development and access to planned activities may be the factor that finally convinces you. 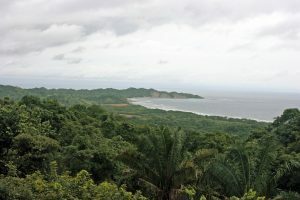 Unlike the Osa Peninsula, the Nicoya region is not solely nature. Roads are easy to navigate, access to goods is plentiful, and organized activities are available up and down the peninsula. While many parts of Costa Rica are still “roughing it” in secluded nature, the Nicoya Peninsula offers you the chance to appreciate Costa Rica’s beauty while not sacrificing too much comfort and modern living. The access to resources is great for any resident, but the access to adventurous activities is why so many self-proclaimed “adrenaline junkies” move permanently to the area. Here, the waves make for challenging surf, hiking trails are available for all availability levels, and daily exercise is a common way of life. People living on the Nicoya Peninsula join yoga groups, hiking clubs, and try their hand at a wider variety of outdoor sports. Even senior citizens find themselves taking more beach walks and enjoying an increased level of exercise. After long, active days, Nicoyan community members find themselves enjoying the developed cities, beautiful restaurants, and public parks. This goes without saying, but the nature and wildlife in this region can’t be beat. Not only do you have seemingly endless coast, but you also have 3000 acres of the Casa Blanca Absolute Wildlife Reserve. This massive park has been named the most scenic spot on the Pacific Coast. The Casa Blanca park doesn’t stand alone either. It’s accompanied by the 86-acre Nosara Biological Reserve. Winding through the wetlands, this park calls to avid bird watchers and those who prefer self-guided hiking tours. 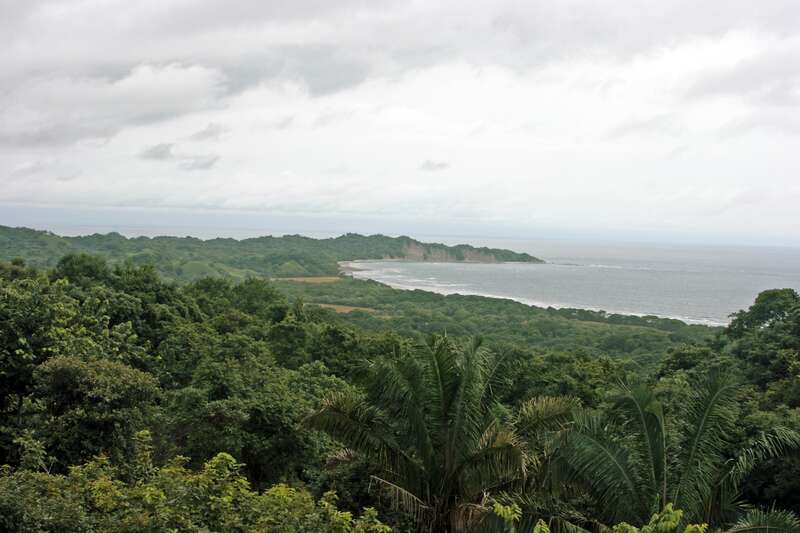 To top it off, the Nicoya Peninsula is also home to the Ostional Wildlife Reserve. Considered one of the most ecologically significant areas in the country, this park is home to giant leatherback and green sea turtles. This protected land gives the endangered turtles a safe area to nest. The eggs rest un-threatened by human visitors, and the young hatchlings arrive safely back to sea. Life in the Nicoya Peninsula does not take the area’s ecological significance for granted. Here, people consume less energy, eat less meat, produce less garbage, and cause a lower carbon footprint. The region’s nature cares for your lifestyle, and your lifestyle will care for your region. Life may be relaxing and the pace may be slow, but that’s not to say that Nicoyans don’t know how to party. Nightlife and salsa clubs are available daily, but there are also a large number of region-wide festivities that encourage residents to take pride in their home. Mid-January, the Fiestas Civicas celebrate local tradition. Costa Rican cowboys hold rodeos and horse shows, complete with carnival style food tents and amusement rides. 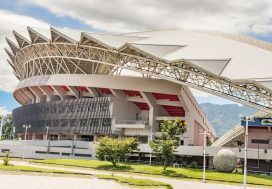 Later in the year, occupying a whole week of July, the department of Guanacaste, including the Nicoya sector of the department, celebrate their union to Costa Rica after having left Nicaraguan territory. This is another cause for celebration, happiness, and local pride. Continuing through the year, November brings more festivities. Pica de Leña, or the Woodcutting Festival, brings food, drinks, and the first glimpse of Christmas spirit. A month later, in December, that wood is gathered for communal cooking as the first of Christmas parades hit the street. These are just the local festivals, but national festivals are still celebrated as well. Holy Week, Independence Day week, and Christmas bring noise, happiness, and high spirits. These celebrations are jolly and often enough to keep the entire region in a celebratory mood throughout the year. In the end, the Nicoya Peninsula offers the chance to live a rather luxurious life for just the fraction of what it might cost in the United States. This region is popular for resort style hotels and luxury tourism, and these services extend to the residents as well. You’ll have better access to delicious and healthy foods, homes at just a fraction of what they would cost in your home country, and luxurious salons and beauty treatments available in every city. Middle class families often find themselves with a cleaning service, gardener, pool cleaner, and personal chef or driver arriving multiple times a week. Those living on a budget still enjoy better produce, better infrastructure, and access to discount beauty services. For the bang for your buck, Nicoya is the ideal destination. The list of reasons why life is so great in the Nicoya Peninsula could go on forever, but it’s typically a visit that seals the deal. If you’re considering a long-term or permanent relocation to Costa Rica, look into renting a house on the Nicoya Peninsula for a week or two. The lifestyle will be addicting and we’re sure you’ll find everything you’re looking for.